I’ve spun, plied and finished the BFL/Tussah silk tops. It’s mine and Owen’s first yarn together and we are both very proud. Owen and I are getting along wonderfully, though there hasn’t been much sleep but that’s to be expected when there’s a new baby in the house really. 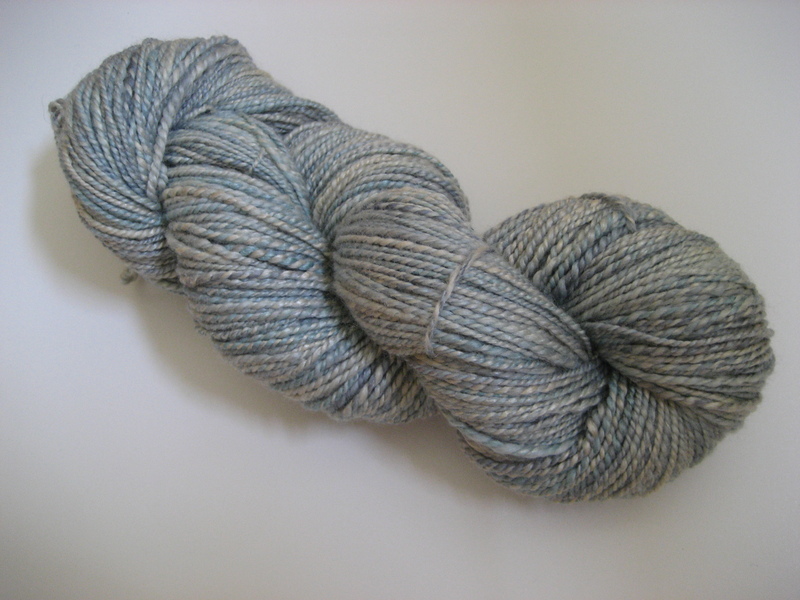 BFL and silk really are a winning combination, the tops spun like butter and the sheen is beautiful, the yarn looks even more like a wintry walk on Filey beach, when the low, winter sun has come out and the wet beach shimmers grey-blue against the winter sky. I’m planning to knit it up into my first pair of handspun socks because it’s only right that it should become another first. 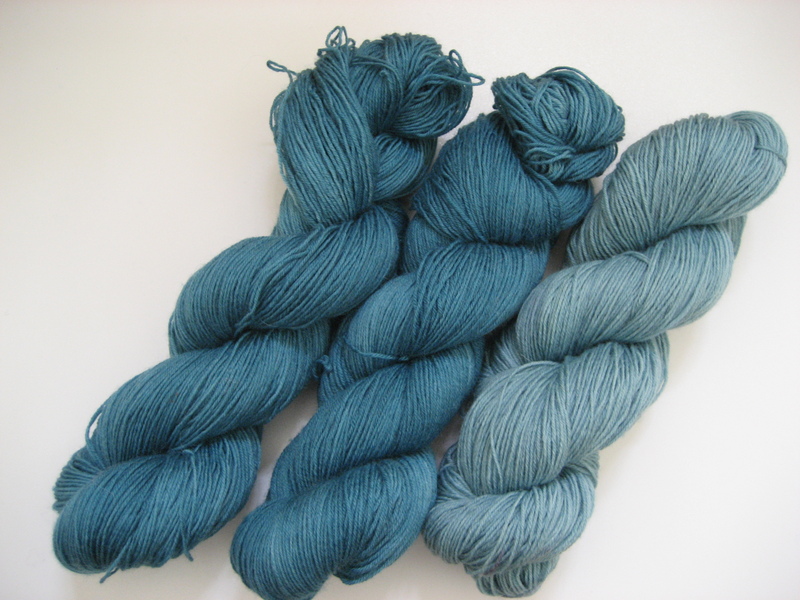 Today, I’m dyeing the remainder of my Finn X White Romney/Corriedale a pretty blue green (surprise surprise). I have it in mind that I want to card it and practice long-draw woollen spun with it, we shall see. 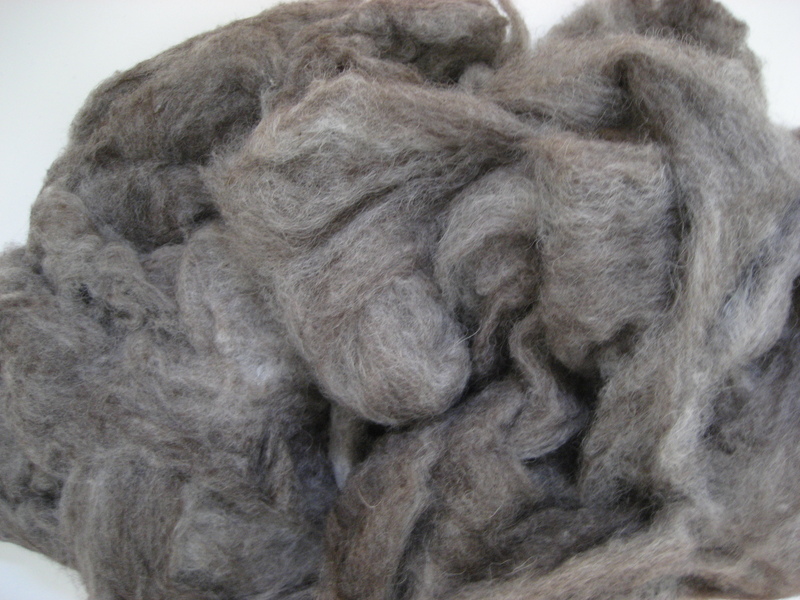 I am also washing a 500g English Leicester part fleece that I forgot I had. I also have the Wensleydale/Teeswater/Tussah silk rainbow tops ready to spin and Idlewood which just requires the body knitting up and it’s done. Busy, busy as usual and enjoying every second of it. My wheel arrived on Monday and I would have posted earlier but I was on my way to knit night with the Richmond knitters when I got the text and then I was at work on Tuesday and so yesterday was the first day I had to get to know Owen. So called because that’s the name written on the underside of the wheel “Owen Poad”, maybe the guy that made my wheel, I don’t know, I would love to know though so if anyone can tell me I’d be grateful. Two other friends that have Little Gems have Andy Poad and Jemima Poad, I’m sure we shall be having many a spin-in together which will be heaps of fun and the whole point of a Little Gem, you pop it in the bag and go and spin with friends. It would be very true to say that Owen is my new love, he is so pretty and very eager to put twist into fibre. 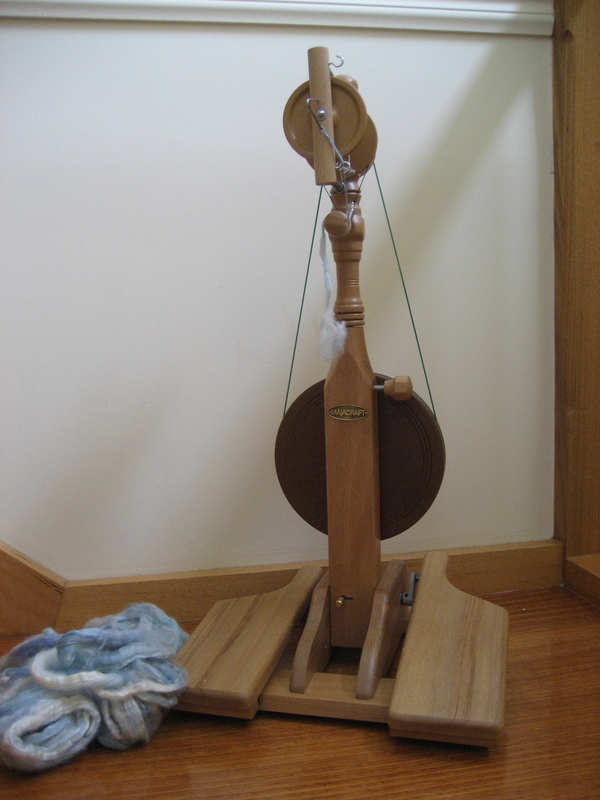 It’s very exciting this new love affair as I’m learning how to spin with him, it’s quite a different feel to spindling but knowing that we have a lifetime of making beautiful yarn together makes me so happy. Isn’t he gorgeous? I’m spinning the BFL/Tussah silk Wintry walk on Filey beach that I dyed first and it’s looking very pretty. 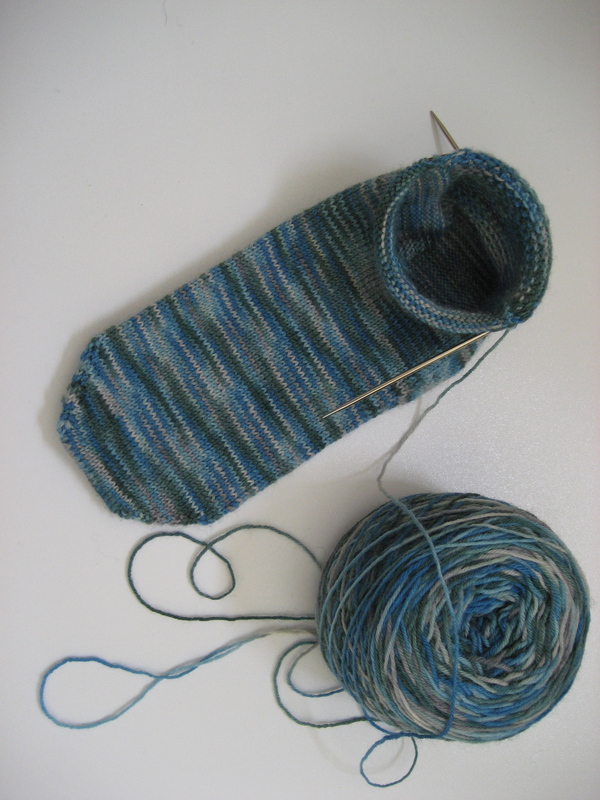 On the knitting front, I turned the heel on the first sock, yay socks! 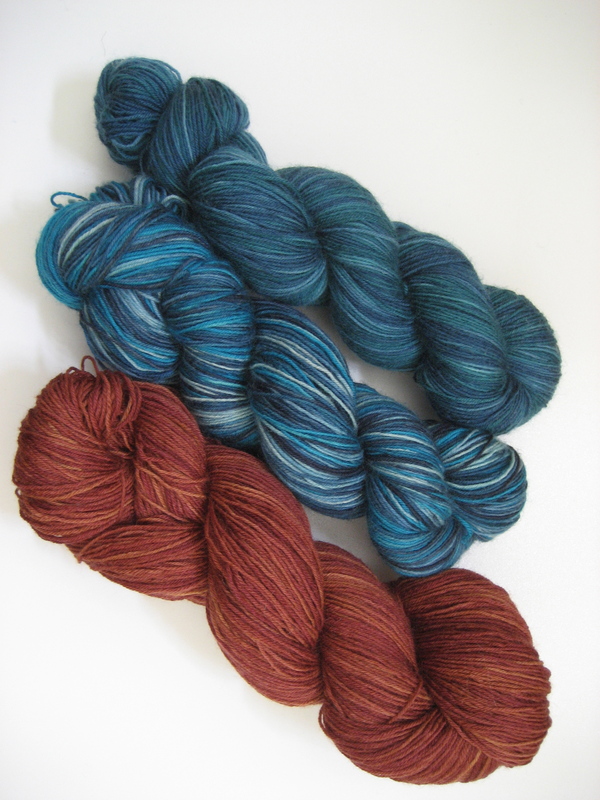 The BFL sock yarn is lovely, soft and shiny-pretty in my favourite colours, if you haven’t tried BFL sock yarn do it! You must experience the soft, shiny, prettiness, though the silky sheen isn’t all that apparent in this poor photograph. Although David’s toe up sock cookbook could well be my all time favourite sock pattern, particularly good for handspun socks, oooh, handspun socks, drooooool. 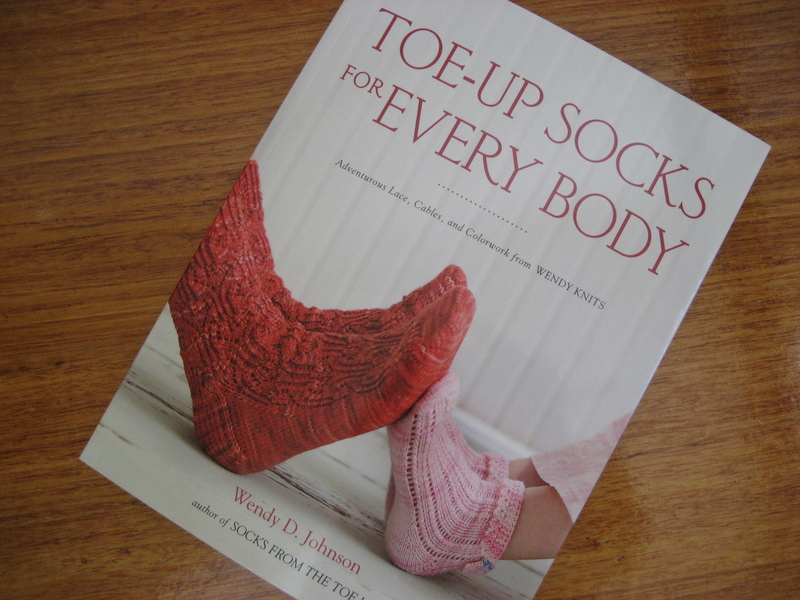 I have purchased two more toe-up sock books the first arrived today. It’s true to say there isn’t a sock pattern in this book that I don’t want to knit so while I waited for the book to arrive I dyed some BFL sock yarn to knit socks with, I particularly wanted some solid colours for the intricate cable patterns because I think they look stunning in solid colours so here’s the outcome. Not bad for a beginner I think. I shall dye some more soon, I have another 6 undyed hanks but need to have a think about colours first. Well that’s all my exciting news for now. As life isn’t all about the fun stuff, I have to leave it there, essential housework needs doing unfortunately, then brownie baking at the boys’ insistence.